The Cluster story began in the Zodiak Free Arts Lab in West Berlin. That’s where Hans-Joachim Roedelius first met Dieter Moebius. Little did they know that they were about to embark upon a musical journey that would last five decades. 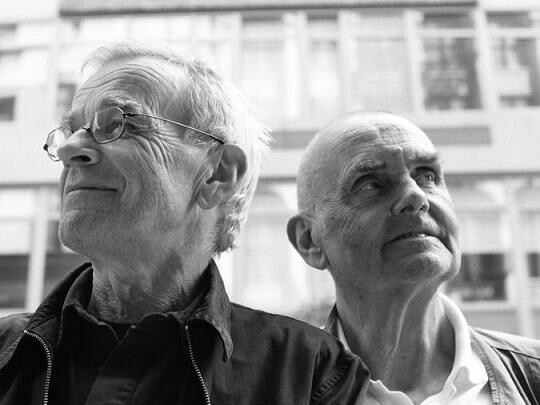 During that period, Hans-Joachim Roedelius and Dieter Moebius were part of three of the most important, influential, and innovative bands of the Kominische era. This includes Kluster, Cluster and Harmonia. Each of these groups have inspired several generations of musicians. That’s still the case today. However, the Cluster story, Hans-Joachim Roedelius told me, began in the late sixties. It was in 1968, at the height of the psychedelic era, that Hans-Joachim Roedelius “cofounded music commune Human Being. I also co-founded Zodiak Free Arts Lab in West Berlin with conceptual artist Conrad Schnitzler. At that period, I was a member of the group Human Being, a forerunner of Kluster.” For Hans-Joachim Roedelius: “this was an exciting time, where there was a sense that anything was possible. It was like a revolution. We were happy to have found this place to work. All the freelance musicians in the city found their way to Zodiak Free Arts Lab. There were members of Can, Tangerine Dream, Ash Ra, Neu! at Zodiak. 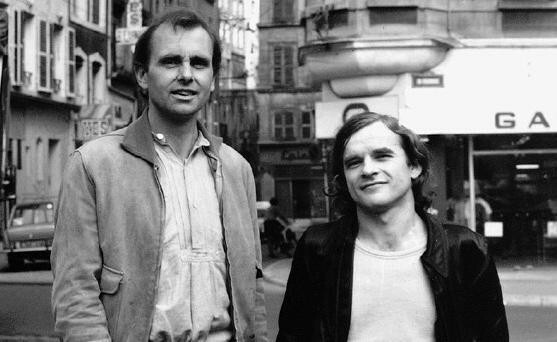 They were great times.” The Zodiak Free Arts Lab was also where Hans-Joachim Roedelius met someone who would play a huge part in his career, Dieter Moebius. “About the end of 1969, Dieter Moebius visited The Zodiak Free Arts Lab. He wasn’t a member. No. He just visiting, and we got talking.” The two men found they had a lot in common, including the way they believed music should be made. 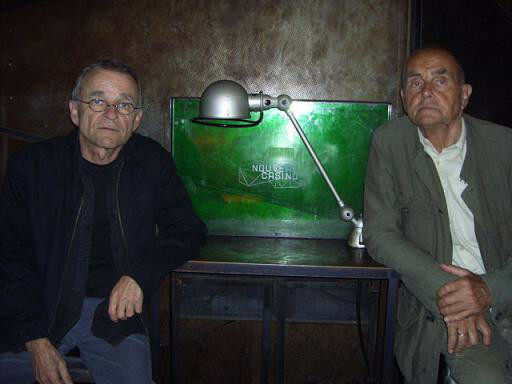 It was almost inevitable that Hans-Joachim Roedelius and Dieter Moebius would form a group. “It was later, in 1970 that we founded Kluster.” Hans-Joachim Roedelius and Dieter Moebius joined with Conrad Schnitzler to form Kluster. However, Kluster was no ordinary band. Initially, Cluster played an eclectic instruments and utensils. “Everything was spontaneous. Improvisation was key.” Kluster’s music was described in The Crack In The Cosmic Egg magazine as “unlike anything heard before.” Hans-Joachim Roedelius admits: “that was what Kluster set out to do. Kluster was about musical activism.” Soon, the musical activists would record their debut album. Kluster’s debut album came about in the unlikeliest of circumstances. Although band were based in West Berlin; “one night we were playing a concert in Dusseldorf. A priest just happened to be walking past, and heard the music. He liked our music, and came in to the hall. Once the concert was finished, he asked if we would like to record an album of new church music? The answer was yes!” So Kluster made the journey to the Rhenus-Studio in Gordor. When Kluster arrived at the Rhenus-Studio, “we met Conny Plank and producer Oskar Gottlieb Blarr. We went into the studio and recorded an hour of music in one take. Religious text was added to this, and became the ‘new church music.’ The music became our first two albums Klopfzeichen and Zwei-Osterei. Only 300 copies of both albums were pressed. Klopfzeichen was released in 1970, with Zwei-Osterei following in 1971. Critics realised the importance of Kluster’s music. It was described as quite extraordinary, bleak, stark, unnerving and full of electricity. Despite the reviews, the sales of Klopfzeichen and Zwei-Osterei were small. However, later, Kluster would be recognised as one of the most influential groups of the early seventies. This influential and innovative group would only release one further album. This was Eruption, which was recorded by Kluster during 1971. It featured an hour of experimental music, which was recorded by Klaus Freudigmann. Eruption is quite different from Kluster’s first two albums. There is no religious text, just Kluster at their innovative best. For many, Eruption is Kluster’s finest hour. However, 1971 marked the end of an era for Kluster. One group became two. In the middle of 1971, Conrad Schnitzler left Kluster, and briefly, worked with another band, Eruption. This was the beginning of the end for Kluster. After the original lineup of Kluster split-up, “Dieter Moebius and I anglicised the band’s name, and Kluster became Cluster.” Between 1971 and 2009, Cluster would release twelve studio albums and four live album. 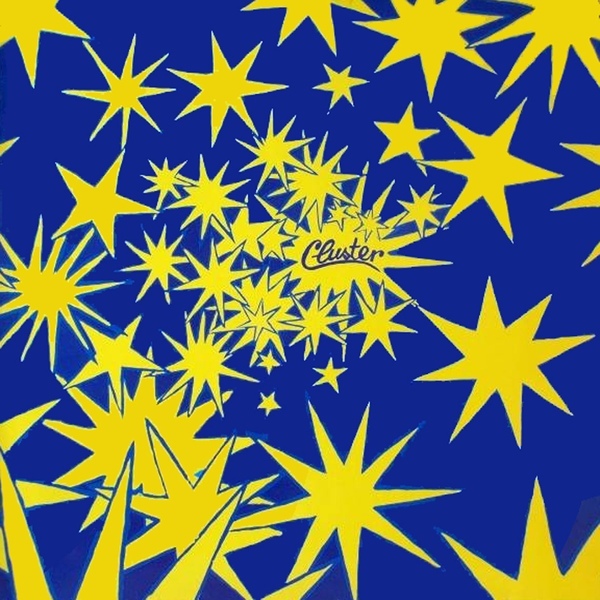 Cluster’s debut was released later in 1971. Cluster was released later in 1971 on Phillips. “This was Cluster’s major label debut. It found Cluster at a crossroads.” They were ready to turn their back on the avant-garde, almost discordant and industrial sound of Kluster, and begin the shift towards the ambient and rock-tinged sound of the late seventies. That was the future. Before that, Cluster began work on their eponymous debut album. In the studio, Cluster set about honing and sculpting a trio of soundscapes. Hans-Joachim Roedelius remembers: Cluster which had very little melody, is a series of improvised and atmospheric soundscapes.” They’re best described as futuristic, moody, dramatic and truly captivating. Heavy rhythms, beeps, squeak and drones drenched in effects assail the listener. It’s as if Cluster have been inspired by avant-garde, free jazz, early electronica, industrial, free jazz and even rock. This fusion of influences became Cluster. Once Cluster was completed, the album was released on Philips. Little did anyone, even Cluster themselves, realise the effect album bearing the serial number Philips 6305074 would have. 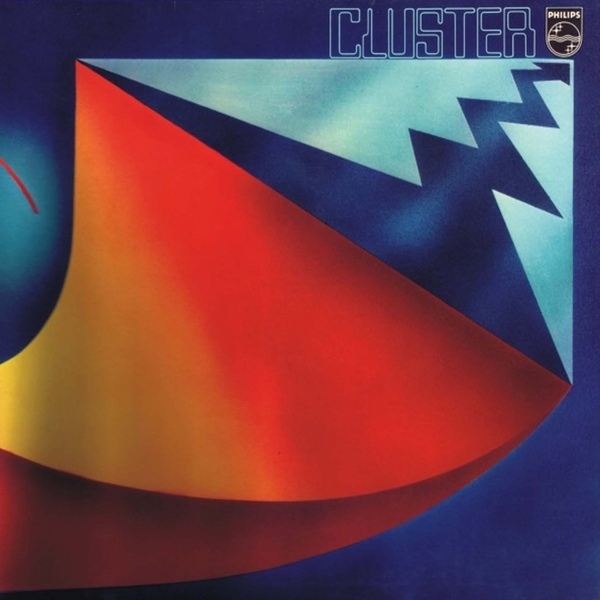 Nowadays, Cluster is regarded as an innovative classic, and in a sense, this was the start of Cluster’s career in earnest. “For the followup to Cluster, Conny Plank was no longer a member of Cluster. We were now a duo, consisting of Dieter and I. Conny had other projects he wanted to concentrate on.” With three becoming two, the two remaining members took a different approach to recording. Cluster had added to their impressive arsenal of equipment. As Conny Plank watched on, two organs, analog synths, a Hawaiian guitar, a bass and an electronically treated cello were brought into the studio. Cluster weren’t finished yet. The two members of Cluster started setting up array of effects. This included audio-generators which usually, was found in an electrician’s toolbox. They became part of Cluster’s alternative orchestra. With everything setup, Cluster got to work. The music veered between futuristic and dramatic to hypnotic, dreamy, lysergic and otherworldly. Sometimes the music becomes pastoral; other times understated and occasionally, explodes into life. However, for much of the time, Cluster II is melodic and mesmeric. Again, Cluster had produced an album that was way ahead of its time. When Cluster II was released, it was on Germany premier label when it came to ambitious and innovative music, Brain. Cluster II was assigned the serial number Brain 1006, and when in was released in 1972, it was well on its way to becoming a groundbreaking genre classic. Ironically, many German critics and record buyers overlooked groups like Cluster. Instead, they were more interested in the music coming out of America and Britain. Incredibly, they never realised that some of the most innovative music was being made in their own backyard. This includes that made by musical chameleons, Cluster whose music would continue to evolve. 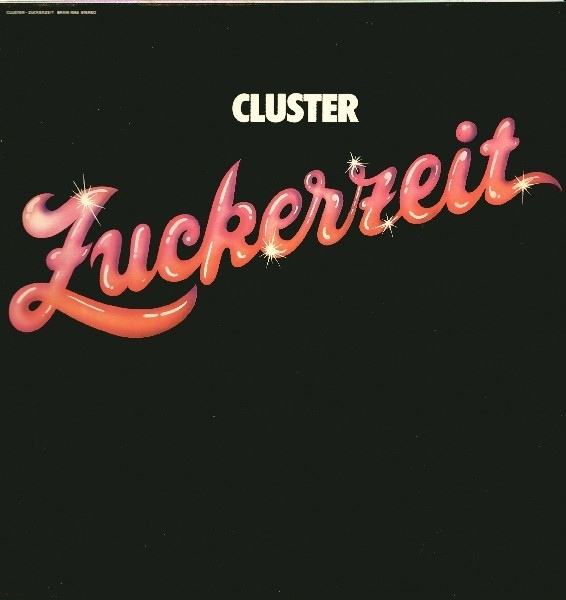 Zuckerzeit, Cluster’s third album, was released in 1974, and was co-produced by Michael Rother of Neu! “Michael first met Dieter and I in 1971. By 1973, Michael was on a break from Neu! We decided to head into the countryside to Forst, to build our own recording studio.” This could’ve been fraught with problems? “No. We knew what we were doing and trying to achieve. All of us had experience in studios, so knew what was required.” The result was a studio “where Michael, Dieter and I recorded the two Harmonia albums, Musik Von Harmonia and Deluxe.” However, before that, Zuckerzeit was released. On the release of Zuckerzeit, in 1974 Michael Rother’s influence is noticeable. He placed more emphasis on melody, rhythm and the motorik beat.” Hans-Joachim Roedelius explains that previously, Cluster didn’t place the same importance on melody or structure. Michael introduced structure and discipline.” The result was a very different album. That’s apparent from the opening bars of Hollywood. A crisp Motorik beat provides the backdrop for Cluster’s synths. They create music that’s variously melodic, ethereal, evocative, haunting and cinematic. Especially on tracks like Hollywood, Rosa, Fotschi Tong and Marzipan. Then on Rote Riki, the music becomes futuristic, with the man machine adding sci-fi sounds that sound as if they’re from a distant planet. Meanwhile, Caramel would influence future generations of dance music producers. Although Caramba has futuristic sound, it’s melodic and contemporary. It sounds as if it belongs on the dance-floors of Berlin’s clubs. This is incredible, given Zuckerzeit was released later in 1972. Cluster had released two albums on Brain during 1972. Both would become future genre classics, and both would show a different side to Cluster. Zuckerzeit with its mixture of electronic pop, art rock and avant-garde, was an album way ahead of its time. It’s a truly innovative and timeless album, where Cluster continue to reinvent themselves. The decision to bring Michael Rother onboard as producer was a masterstroke; and also resulted in the birth of a new band, Harmonia. That proved to be the case. 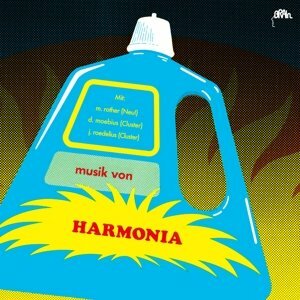 “Harmonia’s 1974 debut album, Musik von Harmonia, was a move towards ambient rock.” While Michael Rother influence can be heard, so can the two members of Cluster. Their influence is more prominent. They adds an ambient influence to what’s a groundbreaking classic. It saw this nascent supergroup seamlessly embrace and incorporate disparate musical genres. 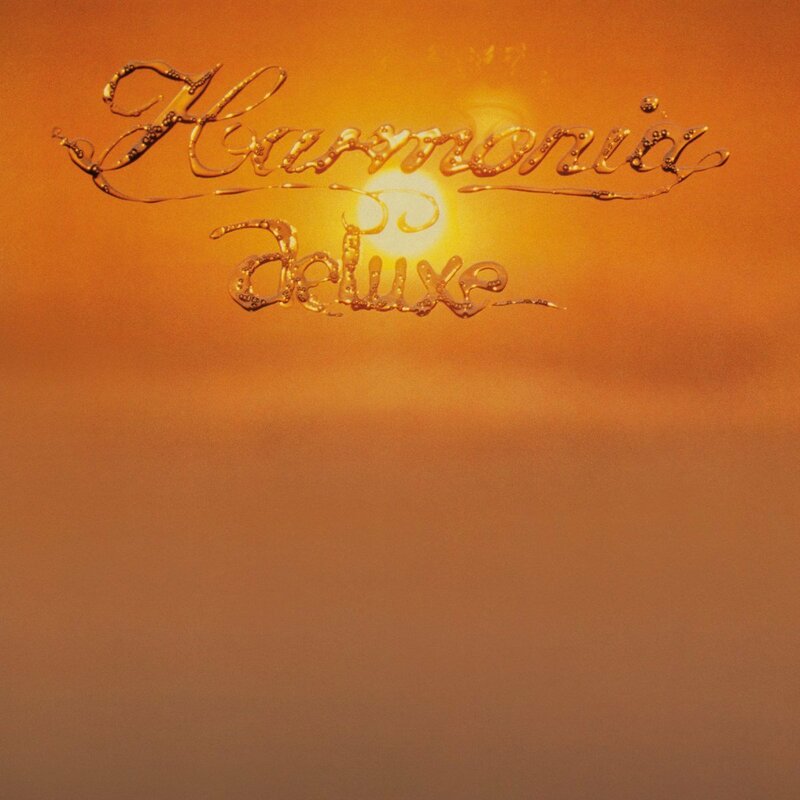 In the process, Harmonia set the bar high for future ambient rock albums. However, Harmonia changed tack on the followup to Musik von Harmonia. The three members of Harmonia reconvened in their studio in Forst for the recording of Deluxe. Co-producing Deluxe was Conny Plank. This just happened to coincide with Harmonia changing direction musically. Deluxe saw a move towards Krautrock or Kominische music. The music was more song oriented. However, still Harmonia were experimenting, pushing musical boundaries. This was Cluster’s influence. Other parts of Deluxe had been influenced by Michael Rother. Hans-Joachim Roedelius agrees. “Michael Rother’s influence can be heard on Deluxe, more so than on Musik von Harmonia.” What was also noticeable, was that Deluxe had a more commercial sound. “This wasn’t a conscious decision. The music morphed and evolved, and the result was Deluxe.” It was released in 1975, to the same critical acclaim as Musik von Harmonia. However, the end was nigh for Harmonia. Despite being recorded in just two days, Sowiesoso found Cluster at their creative zenith. They had recorded an album of understated, beautiful, poignant and melancholy melodies, including Umleitung, Zum Wohl and Es War Einma. The arrangements are often minimalist, but always, cinematic. Sometimes, the music is evocative and atmospheric. Occasionally, there’s an air of mystery. Especially, Halwa, with its cinematic sound. Just like the rest of Sowiesoso, the music paints pictures. That was the case in 1976, and is the case in 2016. When Sowiesoso was released in 1976, it was on Günter Körber’s Sky Records. It had been formed in 1975, and by 1976, was already regarded as a label that released ambitious, influential and innovative music. This described Cluster’s first album in four years. However, Sowiesoso was a very different album to Zuckerzeit. That was no surprise to those familiar with Cluster’s music. They were like musical chameleons, constantly reinventing their music. The musical chameleons were about to enter a three year period where Cluster could do no wrong. In June 1977, the two members of Cluster were joined by three old friends. The first was Holger Czukay of Can. “Dieter and I knew Holger from way back, back to Zodiak Free Arts Lab. We hung around with members of Can. Back then, there was a great sense of community. Everyone helped and influenced each other. We even went on to tour together.” Another of the guest artists on Cluster’s 1977 album first met Dieter and Hans at a Cluster concert. That was Brian Eno: “who Cluster jammed with in 1974. Brian joined us on stage, and we spent the second half of the concert jamming. That was how we first met Brian. Then in 1977, he joined as for the recording of Cluster and Eno. We learnt a lot from Brian. Similarly, I like to think we influenced him. That was the case when we recorded After The Heat.” Before that, Cluster and Eno was recorded. The four great innovators got to work. They spent part of June 1977 recording enough for two albums. Conny Plank laid down bass lines, while Dieter and Hans-Joachim Roedelius played synths and keyboards. So did Brian Eno who added bass and vocals. Once the recording session was complete, the first collaboration between Cluster and Brian Eno was released later in 1977. 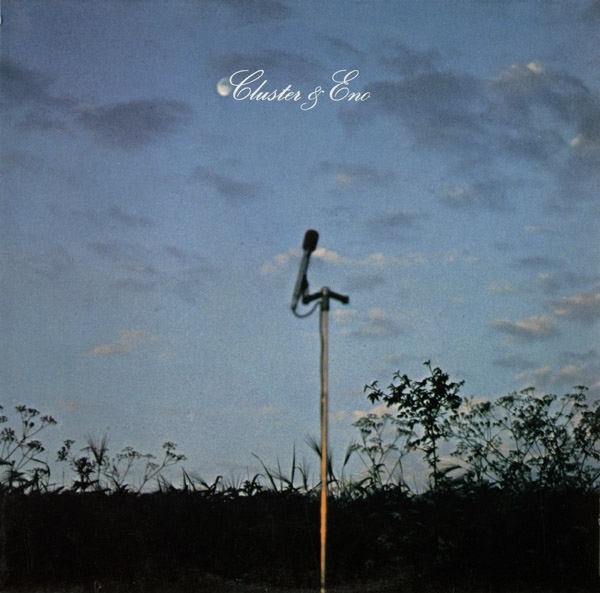 When Cluster and Eno was released later in 1977, the album was a meeting of minds. Elements of both Cluster and Brian Eno’s music melted into one. Cluster supplied elements of avant-garde, while Brian Eno’s supplied the ambient influence. When this was combined with drone and world music, the result was another classic album. 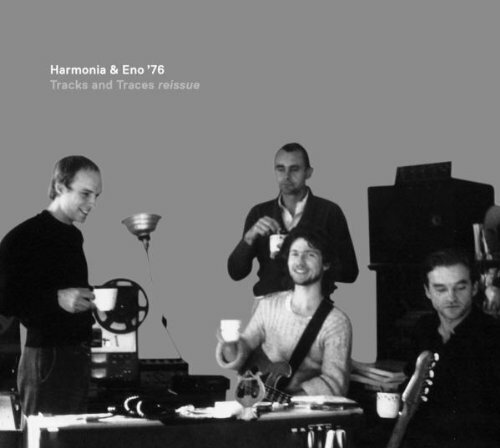 Just a year after the release of Cluster and Eno, the second collaboration between Cluster and Brian Eno was released. It too, was released to critical acclaim. This fusion of ambient, art rock, avant-garde, experimental and Krautrock were combined by Cluster and Brian Eno. Again, both Cluster and Brian Eno were influencing each other. “This was not one way. We both influenced each other. On After The Heat, I believe we influenced Brian’s production style. If you listen to David Bowie’s Low and Lodger albums which Brian Eno produced, Cluster and Harmonia’s influence can be heard. So while Brian influenced Cluster, we certainly influenced him.” After two albums with Brian Eno, Cluster’s next album saw them return to a duo. The Return Of The Cluster. 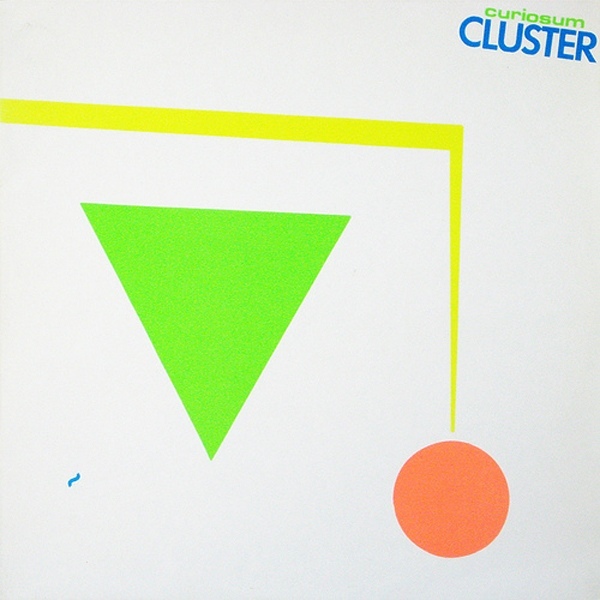 Following two albums with Brian Eno, Cluster returned to the studio in 1979. This time, Cluster were joined by Peter Baumann of Tangerine Dream. He would produce Grosses Wasser, Cluster’s seventh album. It was an album where Cluster drew inspiration from ambient, art rock and avant-garde to electronica and free jazz. The result was music that’s ambitious, challenging and experimental. Other times, the music becomes ethereal, elegiac, melancholy and cinematic. Sometimes, though, Cluster throw a curveball like on Breitengrad 20, and a track changes direction. This adds to avant-garde sound of Grosses Wasser. 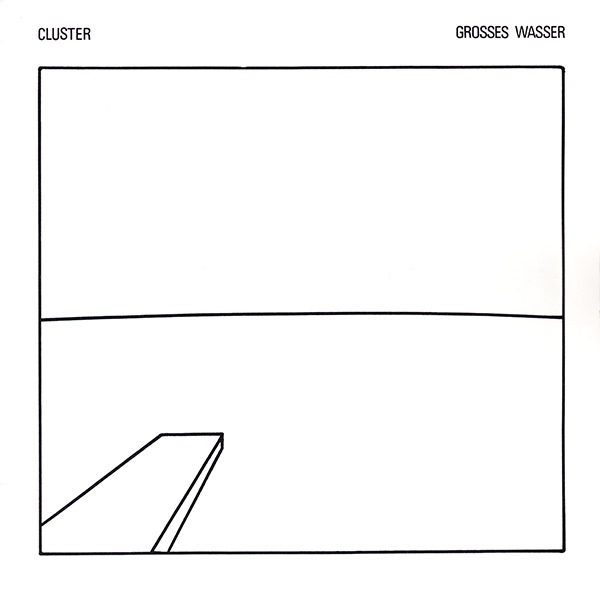 When Cluster released Grosses Wasser later in 1979, it proved to be Cluster’s most avant-garde album. “This wasn’t a conscious decision. Instead, it was just a case of evolution. That was the way that the Cluster worked. It was the same live.” That became apparent on Cluster’s first live album. 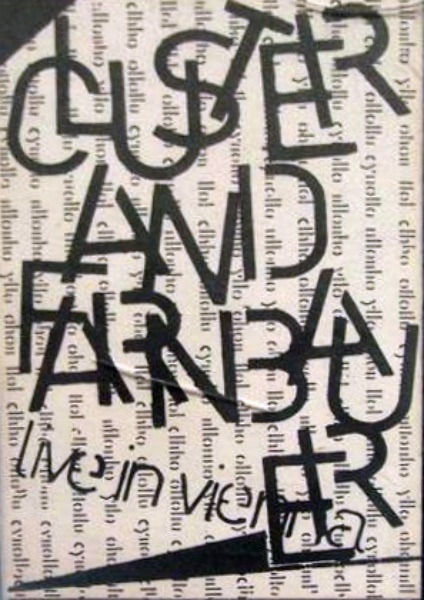 Despite releasing seven studio albums, Cluster had never released a live album. That changed when Cluster took to the stage at the Wiener Festwochen Alternativ, on June 12th, 1980. It was the only time that Cluster took to the stage with Joshi Farnbauer. 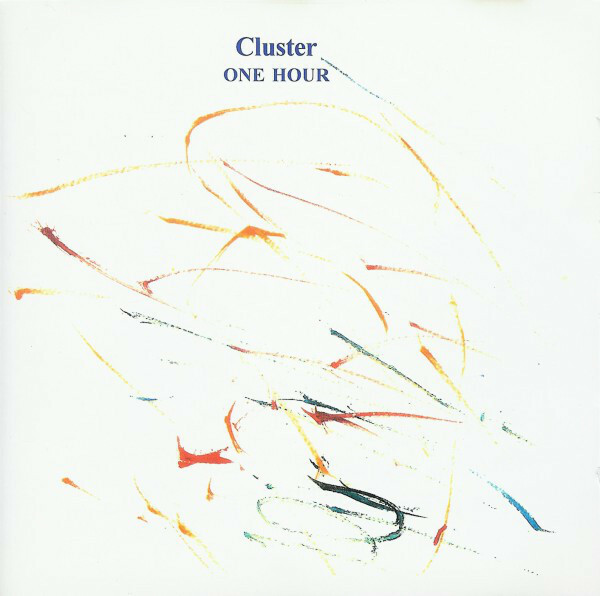 The result was one of Cluster’s most experimental albums. Sometimes, the music veered towards discordant, and was reminiscent of early performances by Kluster. Hans-Joachim Roedelius remembers: “a song was just the starting point. We never knew what direction it would take. It was improvisation at its purest. Partly, it was because we couldn’t replicate our music live.” That was the case on, Live In Vienna, which featured Cluster at their most ambitious and inventive. However, just like Harmonia four years earlier, the end was nigh for Cluster. Cluster recorded their ninth album Curiosum in 1981. Recording took place at Hamet Hof, in Vienna, which was now Hans-Joachim Roedelius adopted home. At Hamet Hof, Cluster recorded seven tracks. Some were relatively short by Cluster standards. Given the title, the seven tracks on Curiosum were somewhat unorthodox. However, they were unusually melodic. It was a fitting way to end chapter one of the Cluster story. Just like Harmonia, “Cluster had run its course. We decided to concentrate on other projects. There was no fall-out, Cluster just came to a natural end. After eight studio albums, Cluster was over. Or was it? Cluster was put on hold until 1991, when Apropos Cluster was released. 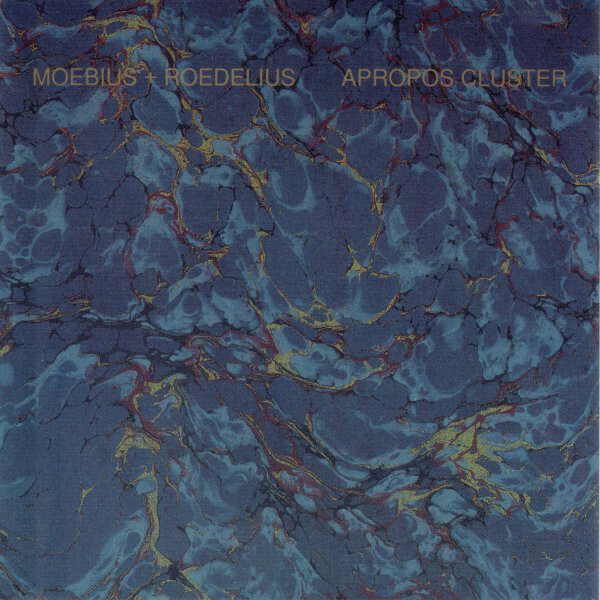 As the Hans-Joachim Roedelius and Dieter Moebius partnership entered its third decade, Cluster released their ninth album Apropos Cluster. Recording of Apropos Cluster had taken place between 1989 and 1990. with Cluster seeming to pick up where they left off on Curiosum. The music was similar structurally, stylistically and sonically. The only difference was the rhythm nature of Curiosum was absent. Instead, the music was understated, as ambient, avant-garde and Berlin School combined on the five tracks. This includes four short tracks and the title-track, Apropos Cluster a twenty-two minute epic. It was a fitting swan-song to what was a very welcome addition to Cluster’s discography. Four years after the release of Apropos Cluster, One Hour was released in 1995, and became Cluster’s tenth album. 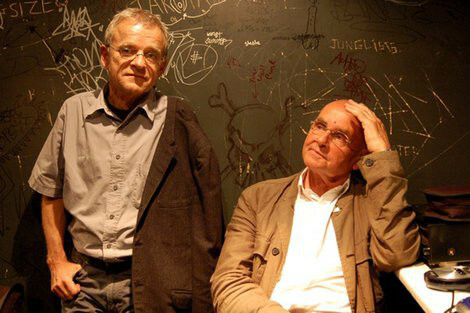 Hans-Joachim Roedelius and Dieter Moebius. It was one of the most ambitious albums of the second part of Cluster’s career. 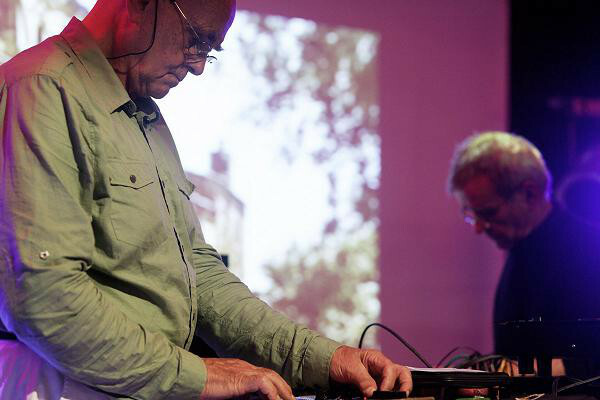 To record One Hour, Hans-Joachim Roedelius and Dieter Moebius had returned to their experimental roots. They headed into the studio and for four hours, improvised. When the recording session was over, the two members of Cluster began to edit the music in one flowing piece of music that lasts One Hour. This was the longest album of Cluster’s career. When One Hour was released, the album was presented as one continuous piece of music. For the CD version, the album became eleven tracks. They’re a mixture of avant-garde, Berlin School, classical, electronica and experimental music. The way the tracks are presented, they flow, meander and build, their eclecticism continuing to captivate. One Hour found favour with Cluster critics and fans old and new. Thirty-four years after making their recording debut, Cluster were still relevant. That would continue to be the case. By then, Cluster’s music was belatedly finding the wider audience it so richly deserved. Especially among a new generation of music fans. They realised how innovative and influential Cluster’s music had been. Many electronic musicians who came to prominence during the nineties, cited Cluster as an influence. So when Cluster toured, they were greeted by a new generation of fans. They joined their loyal fans during Cluster’s 1996 Japanese tour. Among the venues Cluster would player, were On Air West Tokyo and at Muse Hall and Club Quattro in Osaka. These concerts were recorded, and later, would become Japan 1996. 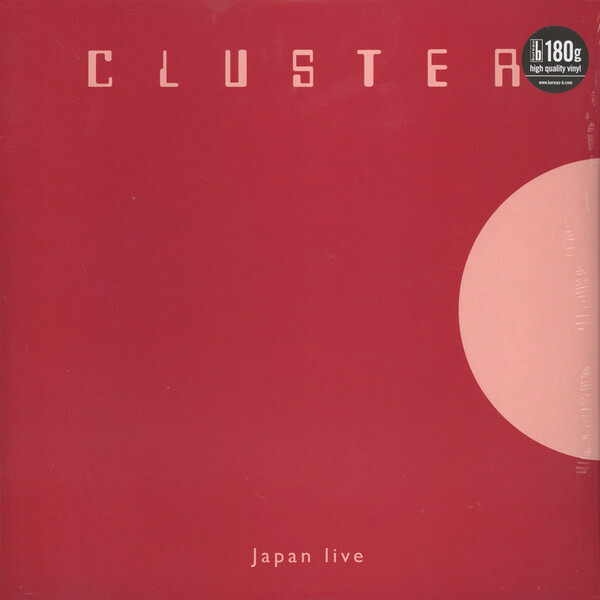 Cluster’s second live album apan 1996 was released in 1997. It featured ten tracks that showcased Cluster at their most inventive and innovative. So would their third live album. Two live albums became three when First Encounter Tour 1996 followed later in 1997. This time, the genre-hopping First Encounter Tour 1996 featured recordings from Cluster’s 1996 North American tour. During that tour, Cluster moved seamlessly between musical genres during each performance. Each night, Cluster switched between ambient or avant-garde to electronic or experimental music and even Krautrock. They veered from ambient and melodic to atmospheric as Cluster improvised. The resultant music owed more to Cluster’s later music. It seemed that Cluster took Grosses Wasser as a starting point and the result was the thirteen tracks that became First Encounter Tour 1996. They’re named after the city where they were recorded in. An example was the thirty-three minute epic New York City. 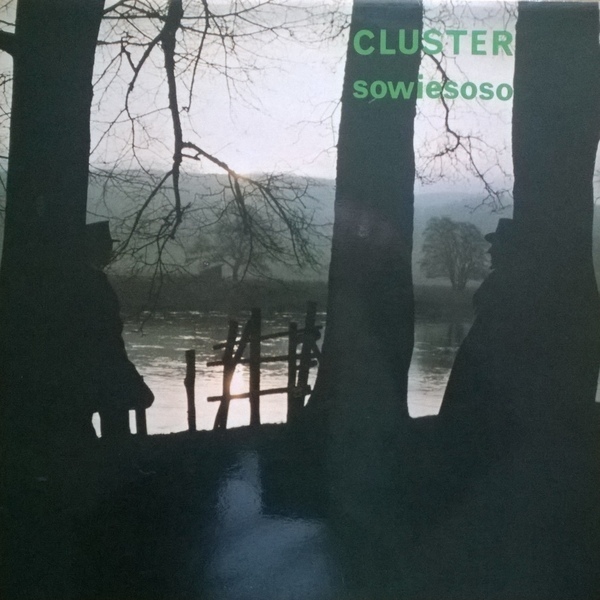 It was part of Cluster’s first double album which just like Cluster’s 1996, flowed seamlessly and took the listener on a journey that ebbed and flowed. However, after two albums in less than a year, it would be the next millennia before Cluster returned. 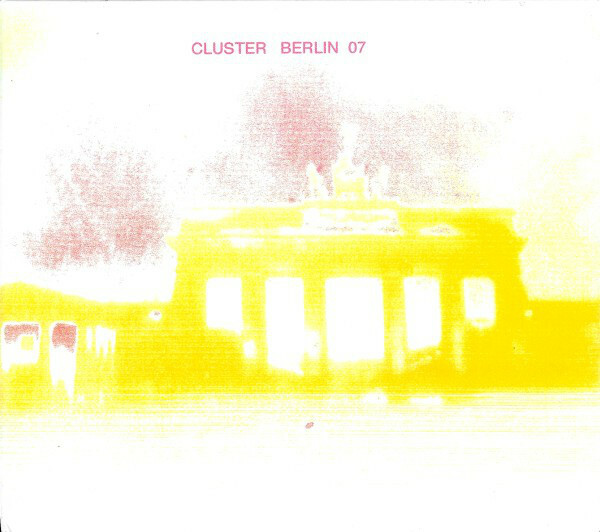 It wasn’t until 2008, when Cluster returned with the fourth live album of their career, Berlin 07. By then, Cluster had been making music for forty-six years. They had enjoyed unrivalled longevity. Their career began in 1969 when Kiluster were formed. That same time, Kraftwerk were formed. However, by 2008, Kraftwerk were reduced to an occasional touring band, who neither recorded nor released albums. That was unlike Cluster. They were still touring and were even contemplating recording a new album. This sudden burst of activity began after Cluster played at the Kosmische Club, in Camden, London, earlier in 2007. It was the first time Cluster played had live since 1997. 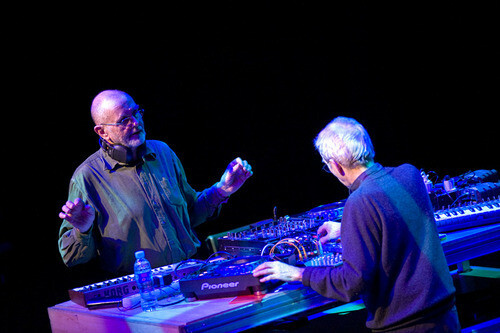 Since then, Dieter Moebius and Michael Rother had toured extensively as Harmonia, Meanwhile, Hans-Joachim Roedelius concentrated on his solo career. However, taking to the stage with his old friend Dieter Moebius as Cluster, had whetted the two friends’ appetite to play future concerts. This included a concert in the city where the Cluster story began, Berlin. The concert was scheduled for November 2007. This would the first time Cluster had played in Berlin since 1969. Kluster and then Cluster had recorded a lot of music since then. However, as Cluster rolled back the years, they drew inspiration from their most recent solo work. Elements of avant-garde, electronic, experimental and techno were combined by Cluster, as continued to push musical boundaries. This had been the story of their career, and was the story of their Berlin comeback concert. It was released the following year as Berlin 07. When Berlin 07 was released in 2008, it was on Conrad Schnitzler’s Important Records. This was fitting, as Conrad Schnitzler had been a member of Kluster, which was the first chapter in the Cluster story. It had come full circle. Buoyed by the success of their comeback, the two members of Cluster decided to record a new album. The cluster story continued. Cluster-A Return To The Studio. In 2009, Cluster returned with their twelfth album, Qua. This was the first studio album Cluster had released since One Hour in 1995. During that period, music might have changed, but Cluster remained relevant. They continued to innovate and release timeless music. Qua was released in 2009 , some forty years after Kluster were founded. It was released to widespread critical acclaim, and featured fifteen understated, spartan soundscapes. They were atmospheric, cinematic and elegiac, and also dreamy, ethereal and pastoral, as Cluster combined elements of ambient, avant-garde, Berlin School, electronica and experimental music. 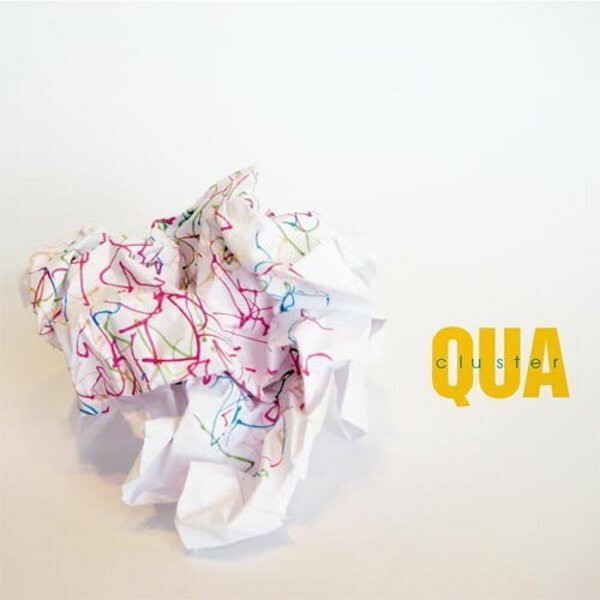 The genre-melting Qua was a welcome return from Cluster. Sadly, it also proved to be their swan-song. Six years later and after a brave and lengthy battle against cancer, Dieter Moebius died on 20th July 2015. The man who had collaborated with Hans-Joachim Roedelius on some of his greatest and most ambitious musical triumphs had passed away. “After a lifelong friendship, losing Dieter has left a void. We were friends since 1969, and spent a lifetime making music. Many a month we spent on the road, talking, and enjoying friendship as the kilometres passed by. We travelled the world together, and enjoyed every minute. So losing Dieter has come as a shock, albeit it was expected. However, I have great memories of a great man, and a great friend, who I’ll never forget.” Nor will anyone who loves Krautrock . They too, mourned Dieter Moebius’ death, but forever his memory will live on through his music. 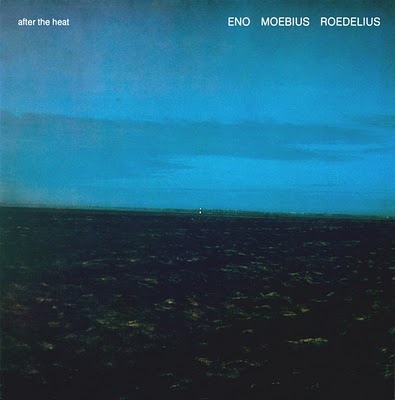 This includes the music Hans-Joachim Roedelius and Dieter Moebius recorded as Cluster. They were one of the most important, influential, and innovative bands of the Krautrock era. That’s why nowadays, Cluster sit at the top table of Kominische alongside Can, Neu! Harmonia and Kraftwerk. Just like each of these groups, Cluster were musical pioneers, who created music that was innovative and influential. However, like many musical pioneers, Cluster’s music was ahead of its time. As a result, Cluster never received the commercial success and critical acclaim in their own country. Instead, Cluster were more popular abroad. Nowadays, as a man once said, the time they are a changing. Somewhat belatedly, Cluster are being recognised for being musical pioneers, who released ambitious, groundbreaking and timeless music. It has gone on to influence several generation of musicians. They cite Cluster as one of the bands who influence and inspired them. That will continue to the case as the music Cluster made was timeless. ← THREE MAN ARMY-A THIRD OFA LIFETIME.